As translators, we’re also writers. This gives us a huge advantage when it comes to communicating our message online. It doesn’t matter if we work with patents, advertising copy, or subtitles in our day-to-day: there’s so much we already understand about communication that – combined with just a little forethought, direction and imagination – we can apply this to our online interactions with great success. One such aspect is voice. Translators do more than merely understand the value of voice: we also know how to detect, decipher, and replicate it in an entirely different language, and sometimes for an entirely different audience too. We also understand that so many of the decisions we make in creating a voice come down to understanding what needs to be achieved when our text reaches its intended audience. This is great! What an ace to have up our collective sleeve!! Translators should be totally dominating the online world right now!!! Amiright?? Except, in case you haven’t noticed, we’re not. Now, why is that? It seems that when it comes to establishing a voice of our own, genii that we are, us translators are not so quick to apply our superpowers for our own good. Because if you communicate across social channels with peers, colleagues or clients, you can benefit from the increased engagement that a clear voice can bring. Let me be clear here: you don’t need a blog to develop a voice. As many men and no doubt unrecorded women far wiser than I have said, there’s nothing new in the world. No topic you can cover, no point you can make, no conclusion you can draw that hasn’t already been aired. What sets you and what you have to say apart from everyone else, is not what you say, but the way in which you say it. This is your voice, and it’s what makes you unique. Your worldview, your experiences, and yes, even your personality (albeit, perhaps, a more watered-down version of some of your less-than-desirable traits…? Just a thought ;)). It’s your voice that enables your audience to know, like and trust you, and it’s what keeps people reading, clicking, and acting on what you have to say. Which is kind of the point of what we’re all doing here, no? If you’re finding it hard to develop your voice, or if you have your voice down but don’t seem to be gaining traction online, Michael Hyatt has an excellent tip on positioning: clarify your role in relation to your clients. Sometimes it can feel like we have to take the “expert” route, even when it may not ring true to ourselves or our audience. But not every client wants or needs a well-seasoned expert – there are plenty of clients keen to find partners who are willing to grow and learn alongside or just a couple of steps ahead of them. And finally, regardless of how technical your field is, remember that when it comes to writing for the web, the (very) general rule of thumb is: if you wouldn’t say it, don’t write it. Writing for the web is not like writing for other media. If you want your readers to stick around, it requires a light hand and deft touch. Think of it as plain English, plus. Note that this isn’t the same as dumbed down, fluffy or inconsequential, though, just as being personable isn’t the same as being personal. If you’re still in any doubt, check out the website for this law firm for an interesting example of how you can convey a professional tone in a serious field with an informal voice. 10 Steps To Finding Your Writing Voice, by Jeff Goins (you’ll need to scroll down for the article). A nice overview of why your blog needs a voice, with some excellent exercises to help you determine it. Find Your Voice: Blog Like You’re In A Closet, by Brian Lund at Problogger. All the personality tests in the world are no good if you can’t sit down and pull something together. This post closely reflects the mindset that I need to take to (re-)connect with my voice. Everybody Writes, by Ann Handley. The single best resource I’ve ever found on writing for the web – scratch that, on writing in general. Compulsory reading for any and all translators of English. Your mission, should you chose to accept it, is to do one thing each day in October that will have an impact on your social presence in the longer term. Each weekday in October, I’m going to suggest a task to work on for whatever pocket of time you can carve out that day. You can choose to follow my suggestion, adjust it to suit your circumstances, or come up with an alternative – whatever makes most sense for you. Or just dip in and out as it suits. Follow along on Twitter, Facebook, or here on the blog. 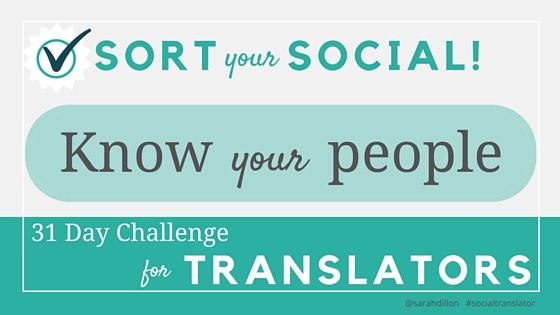 Let me know how you’re getting on by using the hashtag #socialtranslator (so I can find you!). 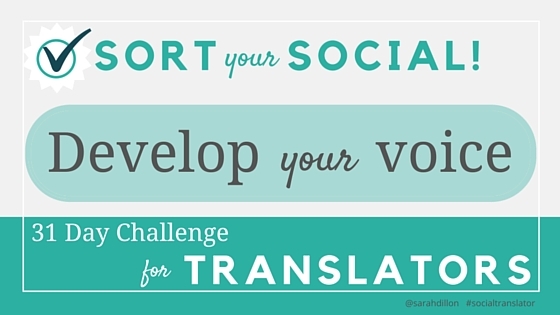 If you find it helpful, please give me a thumbs up, a like or a share – that’s how I’ll know you’re finding it useful, and it’ll help other translators join in too. Most of us use social media to connect with our peers, and rightly so. 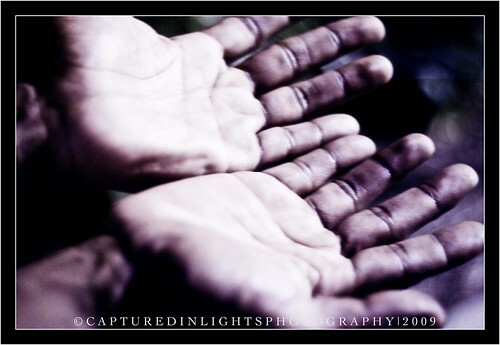 There are lots of benefits to this, and it’s relatively easy because we can imagine who we are reaching out to. Before ever having met them, we can picture the kind of educational experiences they’re likely to have had, we can make an educated guess about the kinds of things they might enjoy, and the ups and downs of their working days don’t seem so far from our own. We can use this knowledge to find them, reach out, and build a connection of sorts. Reaching out to those who use our services can be quite a different experience though, so that’s what I’d like to talk about today. It’s hard for us as translators to walk a mile (kilometre?) in our buyer’s shoes. Hiring a translator to buy a translation service is a relatively niche purchase. Most people who can read will buy a book. Many people who have toilets will hire a plumber. Some people who have businesses will hire an accountant. But relatively speaking, very, very few people ever hire a translator. There’s nothing wrong with any of this. Except that it makes it difficult to imagine our buyers with the same level of detail as our peers. And this makes it very difficult to chart their buyer’s journey. When we don’t understand the steps clients have taken to find us, we can’t make sure we’re appearing in the right places in order to be found. When we don’t understand our clients’ true needs, we can’t craft our marketing message so we stand out from the crowd (remember: quality doesn’t matter). When we don’t understand our clients’ pain points, we can’t offer them the best possible service. When we don’t understand exactly how and why our client needs us, we can’t offer them the kind of value that makes us a trusted supplier instead of a replaceable transaction. All this, ultimately, makes it hard for us translators to find our soulmate-clients online, to reach out, and to build a connection of sorts. And of course, a core tenet of networking is that people do business with people they know, like and trust. I’ve worked almost exclusively with direct clients throughout my translation career. Online marketing played a huge role in enabling me to do this. To make my marketing as effective as possible, I learned how to carefully map out the stages my ideal client went through before hiring me. I then figured out ways to effectively meet their needs at different stages of this process. I realised that for my clients, buying translation services was a complex sale which comes with its own unique set of challenges and concerns. What worked for sellers of books, plumbing or even accountancy services would not work for me. I’m the first to admit this wasn’t the easiest of marketing processes, and I certainly didn’t do it perfectly. But it worked surprisingly well and more than one client commented that they had seen very few other translators put themselves out there the way I did. (I don’t think that’s necessarily true by the way, but that perception certainly worked in my favour). I believe all translators can benefit from having a better understanding of their clients’ buying cycles. And social platforms offer us an excellent venue to do just that. Lists: most social media platforms allow you to build lists or subgroups of people you can follow. Create a specific subgroup for your ideal customers, check in to it regularly and add or subtract to it as you learn more about your prospects and the kind of people who are likely to benefit from your services. This list should not be static – constantly prune and refine the type of prospect you include on this list based on your growing understanding of your ideal client. Website analytics: use your analytic tool to figure out who is coming to your website, and how they are finding you. Line this up alongside your ideal client. Where are the gaps? How can you fill them in to move from your current client list to your ideal one (assuming they are different). Remember: the point here isn’t to find someone with their mouse hovering over the “Buy”, and jump in front of them shouting, “Hire me! Hire me!”. The point is to figure out the steps people realistically go through that build up to them becoming your customer. Only then can you really create the best possible online experience around that for them. And that is what will get them to hire you. Targeting Your Audience Earlier In The Buying Cycle, by Rand Fishkin (10 min video and transcript). If you read and watch nothing else about buying cycles, watch this. Massively helpful when thinking about social media, content creation, SEO… and just life. Rand, I love you. Myth Busting 101: Insights IntoThe B2B Buyer Journey, by Lori Wizdo. Yep. All good. Marketing Strategies for the Type of Sale You’re Trying To Make: Complex vs Simple, by Kevin Clark. Interesting perspective on why it’s so hard for us to sell our services, and how we need to be thinking about it. One of the best perks in my former role as a Director of eCPD, the online training provider for translators, was that I got to attend some truly fantastic talks by the most interesting, inspiring and successful people in our profession. So I was buzzed when I heard Judy Jenner, blogger at Translation Times and co-author of The Entrepreneurial Linguist, emphasise that building and growing a business is hard, and that freelance translators and interpreters need to expect it to be that way. Yet not many translators (and dare I say it, even fewer interpreters I meet) seem to grasp this. At the AUSIT Biennial Conference in November 2010, Tineke Van Beukering shared her thoughts and practical experience of post-editing machine translation output. It was a great session so I was delighted to attend another more indepth talk by Tineke on the same topic a few weeks ago. the role of the MT post-editor. the advantages of using MT + a skilled post-editor (i.e. it’s not just about the money). the differences between MT post-editing and checking. a typical MT workflow, including other emerging sources of work, e.g. MT optimisation. how to make a lucrative income stream out of MT post-editing. how and why she got into this line of work. what she finds most satisfying about it. Something that particularly interested me was Tineke’s discussion of her initial resistance to working with MT output, and how she came to terms with that. She said it posed an ethical dilemma for her when she was first offered this work, because she didn’t want to contribute to practices which she believed might lead to the end of her profession. These initial concerns reflected many of the usual fears we hear bandied about when the topic of MT makes an appearance, and I was impressed with the way in which Tineke went about testing her fears, before coming to her current and ultimately more informed conclusions. What constitutes a “real” translator? It caught my attention because I’ve seen this kind of snobbery rear its ugly head in the profession before. And it’s a shame that some translators feel they can look down on peers who apply translation skills in a way that may not fit the traditional “word-in, word-out” model of translation. To stay relevant, translators need to be able to apply translation-related skills to a range of communicative tasks. I see it as an extension of the poverty-trap mentality which Jill Sommers refers to here, when those who dare to earn a living and adapt to a changing profession are somehow deemed less of a “proper” translator for doing so. I didn’t entirely agree with all the points Tineke made though. For example, she drew some comparisons between the use of translation technology today and the automation of tasks during the industrial revolution, which saw so many workers lose their jobs. For me, this doesn’t sit well for a couple of reasons, primarily because it compares translators to workers who were often unskilled and who did low-level, repetitive manual labour. While many such workers were indeed replaced by technology during the industrial revolution, some jobs were retained, and many new ones were created for supervisors, managers, skilled technicians, and so on. In my view, professional translators are more akin to these managerial, skilled and/or specialised roles. Tineke spoke too about the financial benefits of working in this emerging field. This reminded me of an ITI salary survey from 10 years’ ago (the most recent one, as far as I’m aware). Those who reported generating the highest income were referred to as “language professionals”, while all other categories of earners were “translators”. At the time I hypothesised that maybe this was because these professionals applied more to their work than their (not inconsiderable) translation skills, and viewed themselves more broadly than through the prism of translation only. Crystal-ball gazing has never been my thing. But I’m now more convinced than ever that this is how the careers of professional translators will look in the future. There will always be work for those with highly developed translation skills, but very few of us will work with words in a way we recognise today. This is not something to be sad about, any more than we should feel sad that accountants now use Excel instead of abacuses. Because as our roles become increasingly sophisticated and complex, we evolve, and professionalise, and gain greater recognition. Above all, we need to be careful with our judgements and our snobberies (and I include myself in that). We need to encourage more translators like Tineke to stand up and share what they’re experiencing at the wordface, without making them feel like their commitment to the profession will be called into question in the process. Because we can’t prepare for the future if we’re not even aware of what’s happening around us in the present. 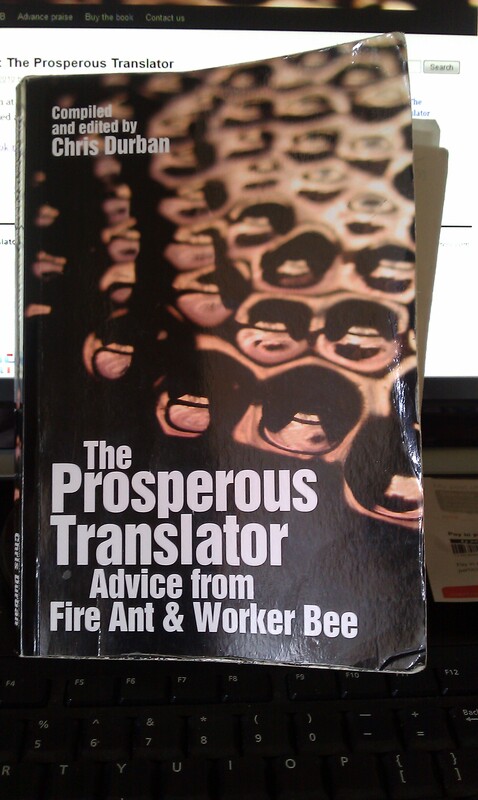 The Prosperous Translator: Advice from Fire Ant & Worker Bee, compiled and edited by Chris Durban, is simply jam-packed with wisdom. It answers questions on every imaginable scenario under the sun, including many you may recognise but would never dare to admit. It’s not a guide to translation, nor is it a manual on getting up and running in business. What it does offer though, is a realistic, well-balanced view of the profession and the wider industry in which we operate. I got this book late last year with the intention of reviewing it before Christmas, but it was a victim of its own awesomeness. When it came to writing up a review, I needed some serious time and liquid preparation before I could even attempt to do justice to the quantity and quality of information contained within its covers. But enough about me: you’re here for the book. Lucy Brooks is a German, French and Spanish to English translator with 20 years’ translation experience. She was one of the first translators to attain the prestigious Chartered Linguist (Translator) status in the UK, and recently started a company called eCPD Webinars to facilitate online training for translators and other linguists. If you’ve been following me on Twitter, you’ll know that I’m a big fan. I’ve attended several of their webinars* over the past couple of months, including ones on specialising in pharmaceutical translation and specialising in medical translation. Translators: are you still relevant? I’ve come to the conclusion that unprofessional and/or unskilled translators aren’t awarded work just because they are cheap. They are awarded work because they are willing to do whatever it takes to give the client what they want. Two years and one GFC after writing these words I’m pleased to report that, based on my experiences at least, this still holds true. There are lots of fantastic clients out there, direct clients and translation companies alike, who are desperately seeking mutually beneficial, long-term relationships with good, reliable professionals. 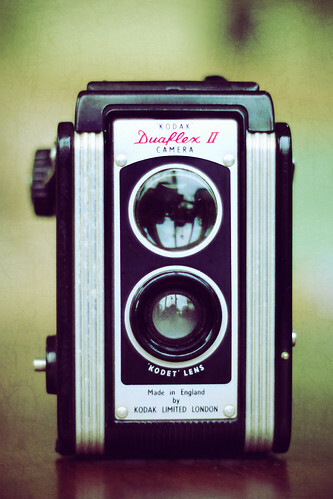 As a freelancer, you need only 2 – 3 of these to make good living. No, they’re not always easy to find but you will find each other. The real challenge lies in staying in the game until that happens – so keep on keeping on! Here is my list of things all freelance translators would ideally do to keep current in good times and in bad, inspired by Rowan Manahan‘s post So your job is under threat? The idea behind this is that we shouldn’t wait for work to dry up before assembling the materials we need to showcase our skills, tempting as it is to let non-translation things slide when the words are flowing. An up-to-date website. As Céline Graciet recently pointed out, as service providers and remote workers, our websites are our shop windows. An up-to-date list of training and events attended to prove your skills are current. A well-maintained network of colleagues in your field. The best time to build a network is well before you’re looking for business. A clear view of your financial situation: what’s coming in, what’s going out, and what’s in the pipeline. Interestingly, job-seeking expert Jason Alba said he felt like he was “cheating on his employer” if he tried to work on this safety net when he was happily employed. Maybe as freelancers we’re cheating ourselves if we don’t? The idea of the linguist as an entrepreneur resonates very strongly with me. In fact, exactly how entrepreneurship “fits” with freelancing is something I mulled over (not very eloquently) in the very earliest days of this blog. So it’s been exciting to see the idea finally given a name and a widely accepted definition, and even more inspiring to see two such capable professionals give it a face. The Entrepreneurial Linguist is Judy and Dagmar Jenner’s new book on the nuts and bolts of growing a language service business. It is aimed at translation and interpreting practitioners who want to work with direct clients, a largely neglected area which I’m sure will pique the interest of many. Translating twins Dagmar and Judy maintain the popular translation blog, Translation Times, and are regular contributors to the ITI Bulletin and ATA Chronicle. ATA members will almost certainly have heard of their well-received Entrepreneurial Linguist workshops. Judy is actively involved with the Nevada Interpreters and Translators Association, while German-speaking linguists may know Dagmar through her role with the Austrian Interpreters and Translators Association.